A single Red-breasted Goose was observed during the weekend in Durankulak Lake. 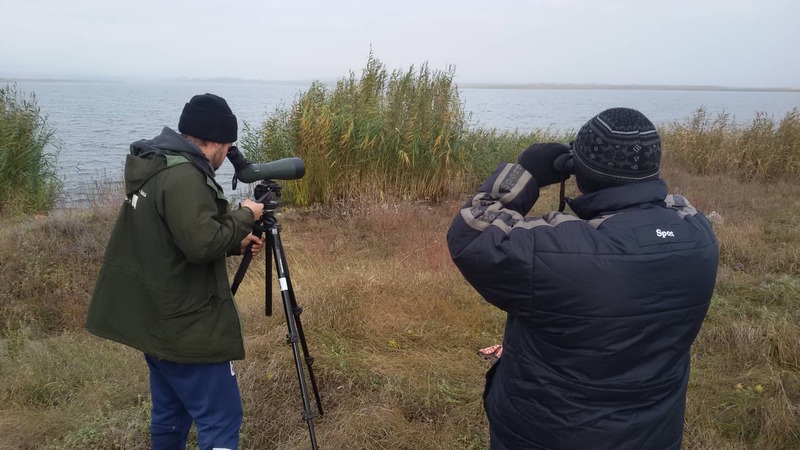 Although the team of the Bulgarian Society for the Protection of Birds working in the area was not lucky to see huge flocks of wintering geese, Coastal Dobrudzha offered other interesting observations. Among them are those of six White-headed Ducks, Red-breasted Divers, Red-crested Poachers and White-tailed Eagles. The results from the monitoring work over the weekend confirmed the usual picture – the most numerous flocks of wintering geese in this period of the year are traditionally to be found along the Danube River, while the Black Sea coast the observations of geese are more of accidental sightings of single birds or small flocks if any at all. In the area of Svishtov, for example offered view of 30 000 Greater White-fronted Geese. 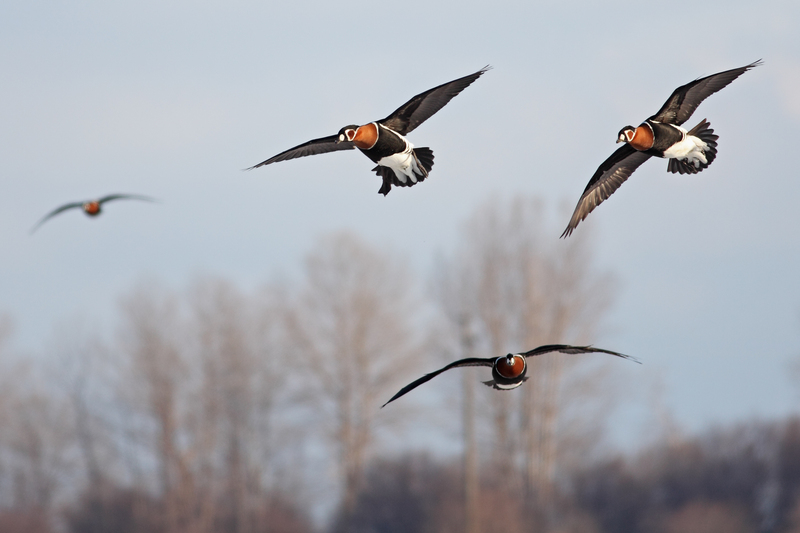 For this part of the country, it is typical that the birds stay in wetlands in neighboring Romania and fly tens of kilometers daily to Bulgaria, where they feed in the vast agricultural fields. 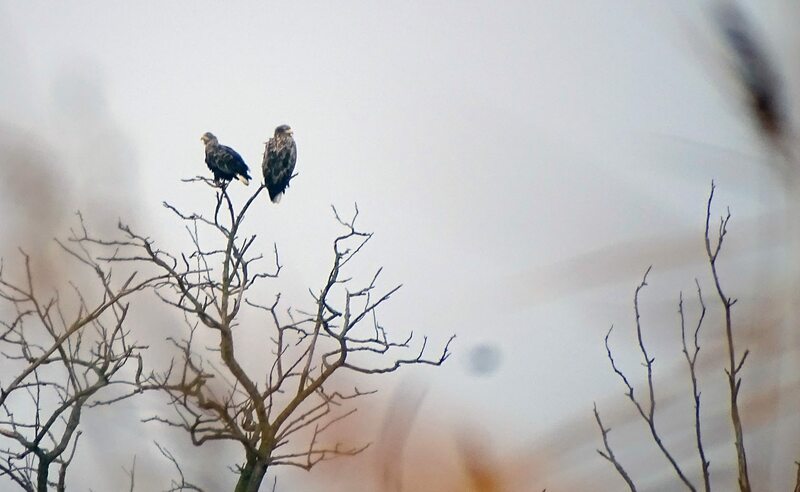 Unlike Svishtov, along the Northern Black Sea Coast, despite the cold days a short while ago, only single geese were seen, and near Bourgas were found none, but other waterfowl species had formed numerous flocks already. This winter season once again the monitoring of the wintering geese in Bulgaria would be carried out within the framework of the project “Life for Safe Fly”, coordinated by BSPB in partnership with ten other organisations from all key range countries of the Red-breasted Goose. The Project is co-funded by the LIFE Program of the EU. Teams of BSPB volunteers and field experts will cover three major regions – Coastal Dobrudzha, Bourgas wetlands and Svishtovsko – Belene lowlands.